For the review of the first book of the series - Rise of the Sun Prince, please go here. I had enjoyed reading the 1st book of the series, so when I received a mail from the author for a review of the book 2 of the series, I was elated and accepted the offer eagerly. I am so glad to have read this book. It is one gem of a book, and I must confess here that I enjoyed it more than the 1st one. 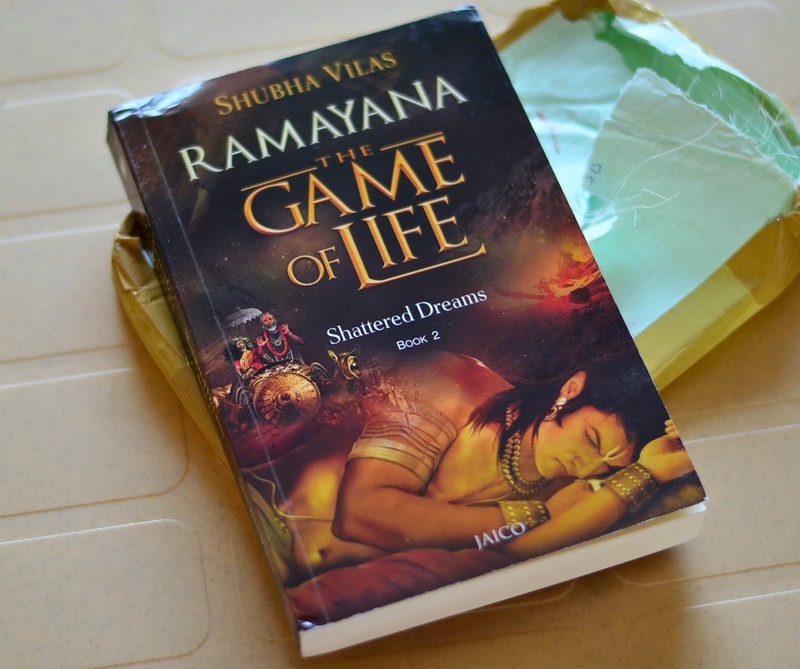 The story in the second book of the series revolves around the events before the announcement of Rama's coronation, the sudden turn of events leading to his exile and the agony that follows thereafter. The beauty of the book lies in the narration and the way it seamless connects all the events. Each and every character get the due attention; so you can visualize each and every scene in your mind. The readers get to know about Dasaratha's inner fears and his love for Rama, Manthara's scheming mind, Keikayi's infamous tantrums, Rama's sense of Dharma, Bharatha's sense of duty, and also the devastating effects Rama's exile has on the citizens of Ayodhya. Even if you have read other books on Ramayana before, you will get to know something new here - you will be able to see the events in a new perspective. Another unique specialty of the book are the foot notes. These are little pearls of wisdom which educates the readers about applying the lessons from Ramayana in their own life. So, this book does a double job - it not only regales you with the stories from the epic saga, it also makes you understand the crux of the stories and how they can be applicable in your life. For example, by abiding by the order from Dasaratha to go to exile Rama shows his detachment from worldly things; Sita by accompanying Rama into exile shows that her love for Rama is above the comforts of a palace, and so on. The language used is simple and the narration is 'spot on'. This is one book, I can surely re-read several times. Of course, I can't wait to find out what the third book of the series have in store. It will be marked by the entry of another legendary character - Ravana, so, I am pretty sure that it will be quite exciting to read that too. I took my time to read the book, as I believe that is the best way to absorb all the information and lessons you are going to get from the book. So, by advice is read it slow and enjoy the journey. I strongly recommend it to all mythology lovers. You shouldn't miss the opportunity of reading this one.